In my last post I explored how the SpaceX's reusable Falcon 9 (rF9) could threaten those companies offering suborbital launch services. What rF9 breakeven price points might we expect if we take these concerns into account? In the table below, I explore these risks and their impact on breakeven price per flight and breakeven price per kg. These risk values give us a range we can talk about. 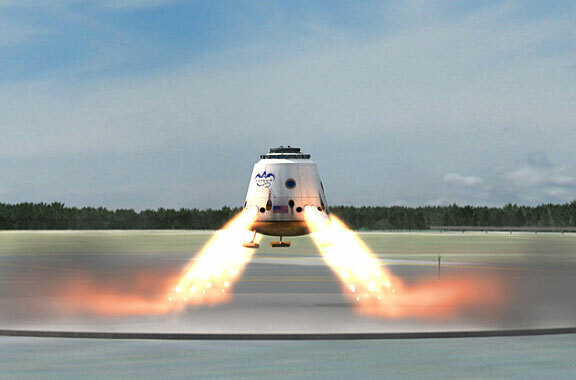 Even variable costs of $2M per flight, only 10 flights per vehicle, and half of the payload mass consumed with reusability hardware, SpaceX should be able to reach breakeven price points of about $1500 per KG and $7.5M per flight. And the great thing about risks…they get retired. Be as pessimistic as you want to be about the capabilities of the initial versions of the rF9. Variable costs will drop over time. Flight rates per vehicle will rise, and payload mass will creep back up. The key has been (and will always be) flight rates. I wouldn't be surprised to see SpaceX subsidize their first generation rF9, offering first generation customers prices SpaceX won’t be able to satisfy profitability until the second generation rF9 – all in the name of increased flight rates. How optimistic or pessimistic are you about rF9 capabilities? Here is an interactive spreadsheet for you to explore your own risks and their effects on breakeven prices. Of all the companies competing in the space business, Space X has the coolest name, but they worry me sometimes. How will they ever make a profit? More importantly, at these prices how will I ever afford to get myself into space?